Science Square Publishing is a book publisher. 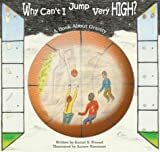 A book published by Science Square Publishing is Why Can't I Jump Very High? A Book About Gravity.